You are here: Home / Parenting / Gentle Discipline / Positive Discipline: Permissive Parenting In Disguise? Many moms who choose positive discipline are criticized for being permissive. 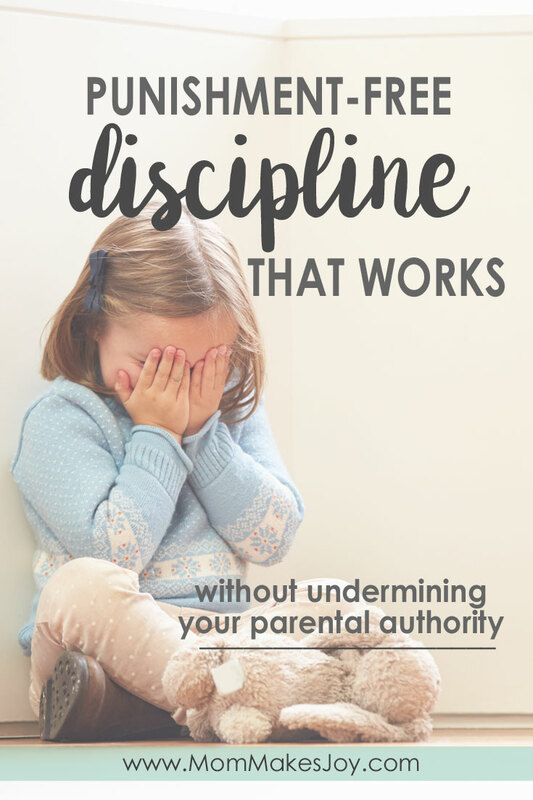 Is positive discipline really just permissive parenting? Here’s my take. Most of the time it’s none of anyone else’s business how you or I raise our kids, thank goodness. But there are times when I feel like I’ll lose it if another stranger tells me I’m going to “ruin” my kids because I don’t believe in traditional punishment. 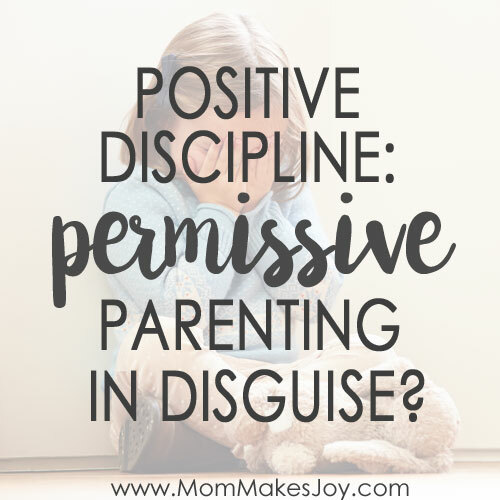 Times when I have to cover my eyes just to keep them from rolling out of my head when someone insists that positive discipline is really just “permissive parenting” in disguise. This might be true for some people, maybe. But here’s the deal: Gentleness is not the same as permissiveness, and boundaries don’t have to hurt to exist. In the early 1960s, psychologist Diana Baumrind produced some groundbreaking research identifying three main parenting styles (a fourth was added later) by examining preschool-age children and their relationships with their parents. She looked at discipline strategies, warmth and nurturing, expectations of maturity, parental control, and communication styles. She determined that parenting fell on a spectrum of primarily two dimensions: responsiveness (the degree to which a parent responds to a child’s needs) and demandingness (the extent to which a parent expects and demands mature behavior). Since this early research, developmental psychologists have spent a great deal of time examining outcomes associated with different parenting styles, and I’d wager you don’t need a degree in psychology to figure out which style is associated with the most positive outcomes for children. If you guessed Authoritative, you guessed correctly. Researchers have consistently found that authoritative parents tend to raise children who are more self-reliant, socially accepted, academically successful, and well-behaved. This isn’t judgment on parents who aren’t authoritative; it’s simply what the available evidence indicates. In theory, it seems simple: Be an authoritative parent. Boom! I just gave you the secret sauce to parenting! Because in practice, it’s not that simple. 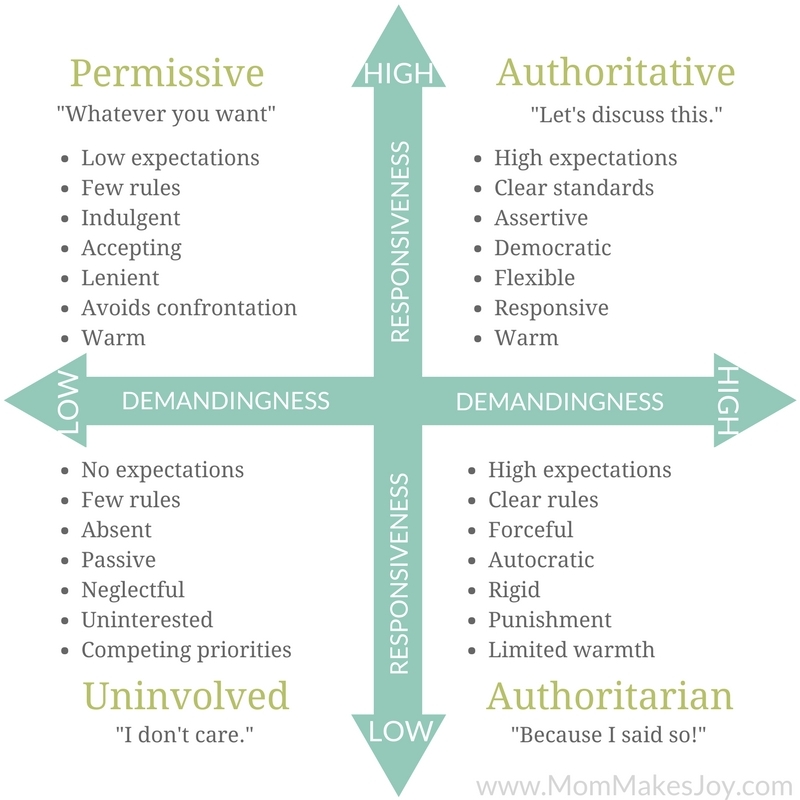 Sometimes we might wax one direction or another, but our parenting style is best defined as where on this spectrum our behaviors (not our intentions) most often fall. Although these styles seem fairly cut and dry, there is actually a lot of debate amongst parents as to what constitutes “authoritative” parenting. What one parent sees as authoritative, another parent views as permissive. Tantrums aren’t immediately snuffed out? Children aren’t spanked? 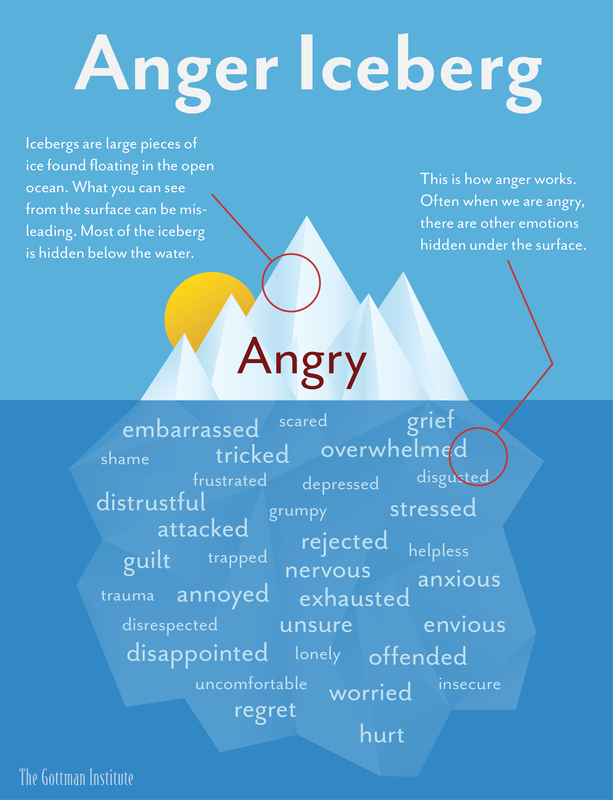 Discussion of feelings is encouraged? Children are allowed to have a say? How will these kids grow up to be functioning adults? IS POSITIVE DISCIPLINE PERMISSIVE PARENTING? On the contrary: Gentle parenting/positive discipline is NOT permissive parenting in disguise. But it can become permissive parenting when a parent mistakes a child’s want for a child’s need. Take a tantrum, for example. If a child “acts out” because she didn’t get her way, the permissive parent might choose to remedy the emotional outburst by allowing the child to have her way (her “want”), with the belief that they are addressing the child’s emotional/psychological “need” for positivity, happiness, or what have you. However, this isn’t the child’s foremost need in that moment, and with a permissive approach, her true needs–firm boundaries, empathy and emotional guidance when those boundaries lead to big emotions–are never met. On the other end of the spectrum, the authoritarian parent might choose to remedy the emotional outburst with punishment. The tantrum stops quickly, and if the child is made sufficiently afraid, tantrums might even happen much less often in the future. Although a reduction in the frequency of tantrums looks like effective discipline, and although the punishment has enforced a needed boundary, the child’s real and deeply felt need for positive parental connection and emotional guidance is never really addressed. And when such guidance is offered, there is a very real risk that fear of punishment–or of the parent–will overshadow it. Research has shown this is especially true for young children. The gentle, or authoritative, parent falls somewhere in between. Tantrums are seen as a learning opportunity, a chance to teach about big emotions like disappointment, frustration, embarrassment, feelings of rejection, etc., since these feelings are what actually fuel these outbursts. Emotion expression is encouraged, but emotion regulation is also taught in age-appropriate ways with developmentally-appropriate expectations in place. And in this way, parents meet the child’s need for connection and boundaries. The truth is, ANY parent can be permissive if they’re not careful. Striking that balance is difficult, and we’re not always going to be successful. But that doesn’t mean we shouldn’t try. Instead of raising children who turn out okay despite their childhood, let’s raise children who turn out extraordinary because of their childhood. Now I know what some of you might be thinking. Is she saying I’m a bad mom because I believe in the value and efficacy of punishment? [Insert rant about "parents these days” and "how I turned out okay” here]. Don’t hear what I’m not saying, please. Whether or not you are a “good” or “bad” mom is a question only you can answer and only you should. So please don’t worry yourself too much about if or to what extent I’m judging you. Are you doing your best? Are you loving your kids in ways they can clearly see and are you striving to raise them to be good people who share your values? Are you speaking to and disciplining your kids in ways that leave your conscience free of guilt and shame? Are you proud of how you respond to your children even in their worst moments? Then keep doing that. And don’t worry about what other parents think, because you know your heart and your children. But if you find yourself struggling with your honest answers to those questions above, consider taking a second look at what’s working and what isn’t. Consider trying something different, even if it goes against your understanding of the “right” way to handle things. Sometimes what we think is “right” is just a function of what we’re used to. 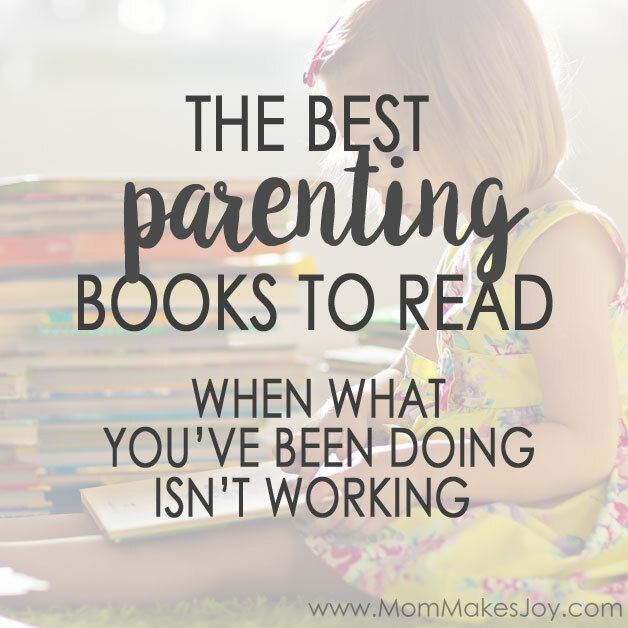 If gentle parenting resonates with you, don’t be afraid to try it. Gentle boundaries and empathetically enforced, developmentally-appropriate limits aren’t going to “ruin” anyone anytime soon. How would you describe your parenting style? Has it changed with subsequent kids? Leave your answers in the comments! Gabby, this is an excellent post. I’m grateful for your courage to share what you’ve found to work in your family. I also strive for this kind of parenting, and I can tell you that it is powerful, and beautiful. When I was a new mom I fell a lot more into the category of authoritarian. Honestly, that was exhausting and stressful, and the kids were sad when I behaved that way. I’m grateful I began to realize there was a better way. And I have to say I have fantastic relationships with my kids. They are amazing people! And they are turning into remarkable adults. So keep going Gabby! You’re doing a terrific job!